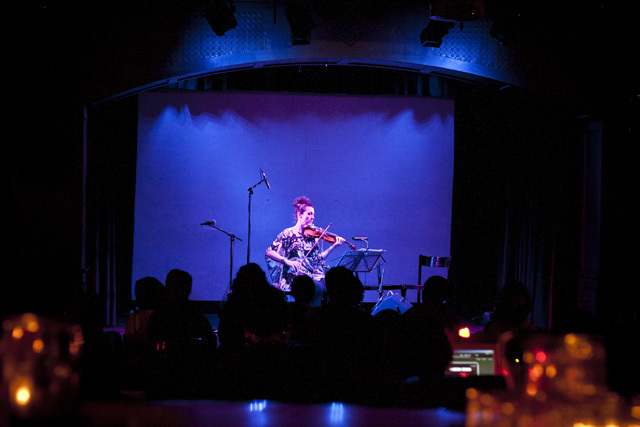 The dynamic amplified solo violin show VOLUME has amazed Melbourne audiences for over a decade showcasing Australia's finest music making talent all conveniently brought to you in one solo-violin-powered show. Pop artist writing classical style, classical composers breaking out the effects pedals – all rules are broken within the VOLUME experience. This year the 10th anniversary show VOLUME 10 returns to The Toff for 'DIFFUSION' an electronic journey featuring Melbourne's own Shaun Keyt who's immersive and visceral sounds will be enhanced by Sarah's ground-breaking Spur Semi-Acoustic violin for a genre-defying experience you will not forget. Prepare to be elated, immersed, subdued and transported in this one-off, not to be missed show. Cameron Jamieson, Anton Koch, Hugh Crosthwaite, Timothy Coghill and Jessamie Kaitler. Combining a background in classical piano and electronic music, Shaun Keyt (Viridian) has been writing and performing live, scoring for media and teaching for over 25 years. After a chance meeting, Sarah Curro asked Shaun to compose the Volume 10 Diffusion show. After a number of rehearsals, this role was expanded to include performing the compositions live with Sarah. 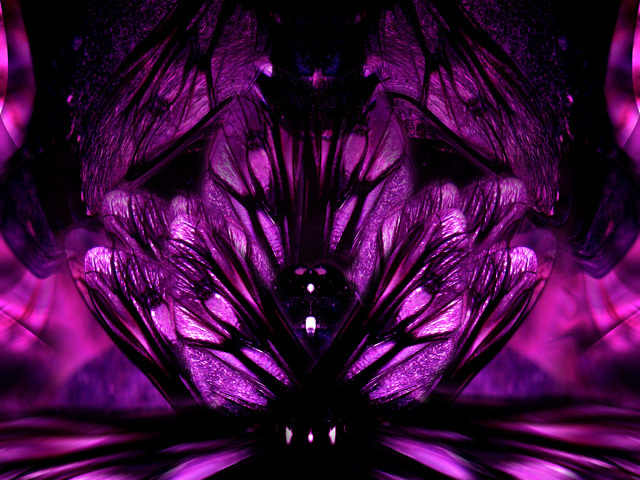 The Volume 10 Diffusion show was born. Massive thanks to the following contributors who donated to the Pozible campaign to support Sean Hennessy-Brose in the making of this epic documentary. Hamish Davidson, Louise King, Gary Pearson, Leigh Raymond, Jennen Ngiau-Keng, Elyane Laussade, Xan Coleman, Maryanne Plazzer, Lachlan Dent, Ed Antonov, Marilyn Galli, Rosia Pasteur, Adam Simmons, Grant Cooper, Luca Lucchesi, Brenton Broadstock, Mick Loftus-Hills, Gina Curro, Jenny M Thomas, Helenka King, Martine Wengrow, David Jones, Judy Burstyner, Zach Tay, Leigh Harrold, Penne Daley, Andrew Heading, Tim Yarham, Helen Ayres, Kirsty Cusack, Jonathan Curro, Michelle Curro, Gabrielle Halloran, Anthony Rossiter, Molly Collier-O’Boyle, Savannah Lack, Deb Merton, Michelle Ruffolo, Sean Foran, John Parker, Joanna Meighan, Lara St John, Rachel Green, Meredith and Darko Kolosov, David Wicks, David Curro, Molly Kadarauch, Ben Opie, Stefan Cassomenos, Dalnby Toose, Morry Blumenthal, Simon Morley, David John Lang, James Eccles, Louis Kushinsky, Sarah Morse, Melissa Gartner, James Mustafa. 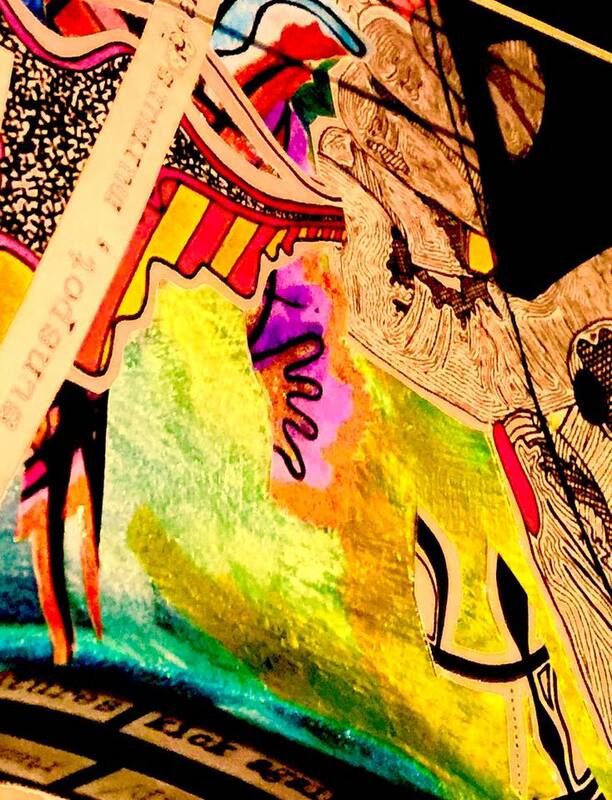 ReVerse Butcher is a multi-disciplinary artist with focuses in making unique artist’s books, collages, visual art, writing & performance. She will use any medium necessary to engage and subvert reality until it is less dull and oppressive. When she grows up she wants to be a well-read recluse. She currently lives in Melbourne, Australia. 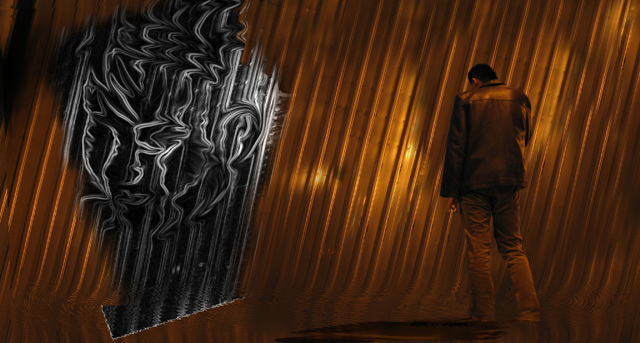 Creating evocative, atmospheric and melodic music is Adrian's main motivation as a composer. Over the past decade he has written music for drama, documentaries and animated films, advertising and a computer game. He regularly works for New Zealand's foremost theatre company, the Auckland Theatre Company, recently designing sound and composing music for The Glass Menagerie by Tennessee Williams, Other Desert Cities by Jon Robin Baitz and Howard Brenton's Anne Boleyn. His series of pieces for the new Spur electric violin and Fender Rhodes piano are rooted in the rich tradition of violin and piano music but explore new sounds and possibilities, which are made possible through modern technology. Adrian is also an accomplished and award-winning music producer and sound engineer. His recordings have been released on music labels Naxos and Atoll, as well as being broadcast on public radio stations in Australia, New Zealand, the USA and across Europe. Hugh is a freelance composer, orchestrator, producer and engineer. In the year 2004 he completed a Bachelor of Music at The University of Melbourne, majoring in composition. Hugh is inspired by a wide variety ofdifferent music, being particularly influenced by the classical music of the late 19th and the early 20th century, as well as popular and alternative rock music. In recent years Hugh has enjoyed the opportunity to write commissions for Brian Walters SC, The Melbourne Youth Orchestra, and the Royal Melbourne Philharmonic Choir and Concordis. With Influences such as the Epic film scores of Hans Zimmer, the breathtaking songs of Bon Iver, the experimental groove of MuteMath, and the beautiful simplicity of Olafur Arnalds, Coghill laces sound together with both stunning and emotive imagery, creating what can best be described as a journey; an experience that makes you feel as though you've arrived somewhere. Jordan Halaseh is in year 12 at Penleigh and Essendon Grammar School and has been playing the trombone for 9 years and the piano for 10 years. Having studied AMEB music theory for many years Jordan participates as a performer and arranger for senior stage band, senior orchestra and senior concert band and the school brass quintet and brass ensemble. Jordan is passionate about music and is really looking forward to hearing his first commission for the VOLUME 9 show this year. Brisbane born violinist Cameron Jamieson has been writing music since he was 10 and assumed the name seejay in 2006. Although a Performing Violinist working for the Melbourne Symphony Orchestra and around Melbourne as a soloist and chamber musician, in the studio he ignores his training to write the music he cares most intimately about. Electronic Dance Music and ElectroAcoustic Ambient music. Belinda has a natural instinct for capturing extraordinary moments and creating distinctive images. She moves with theatre-savvy stealth and has immunity to impossible deadlines. 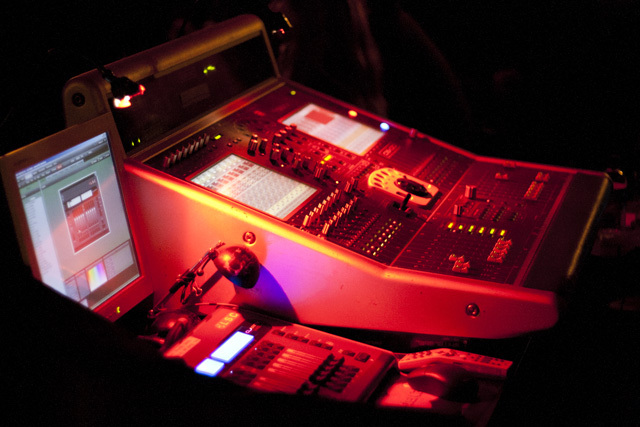 Bret King has been a sound guy and musician for over 20 years, including over 10 years as Senior Sound Technician at the Victorian Arts Centre. From touring Australia as audio engineer for the Tokyo String Quartet to playing live percussion with techno DJs in Tokyo, as well as composing music for AFI winning movies, he enjoys working in all areas of the music industry. Currently playing drums with his band Lychee Martini and working on various projects in his studio, Bret is always looking for new and interesting ventures to become involved with. Richard Gill, Music Director of Victorian Opera, is also the Artistic Director of the Sydney Symphony’s Education Program. He has also been Artistic Director of OzOpera, Artistic Director and Chief Conductor of the Canberra Symphony Orchestra and the Adviser for the Musica Viva in Schools Program. Richard has received numerous accolades, including an Order of Australia Medal, the Bernard Heinze Award, Honorary Doctorates from the Edith Cowan University of Western Australia and the Australian Catholic University, the Australian Music Centre’s award for Most Distinguished Contribution to the Presentation of Australian Composition by an individual, and the Australia Council Don Banks Award. 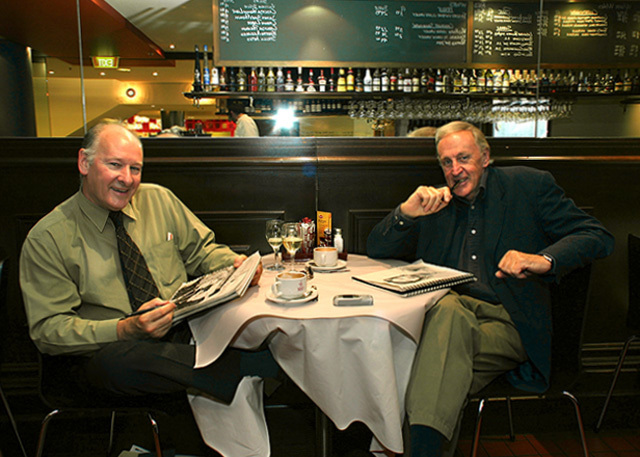 The dynamic duo of Bruce Harvey and Peter Mills will sketch anyone or anything. Their unique styles freeze a moment in time forever, and they're always sketching with a smile. 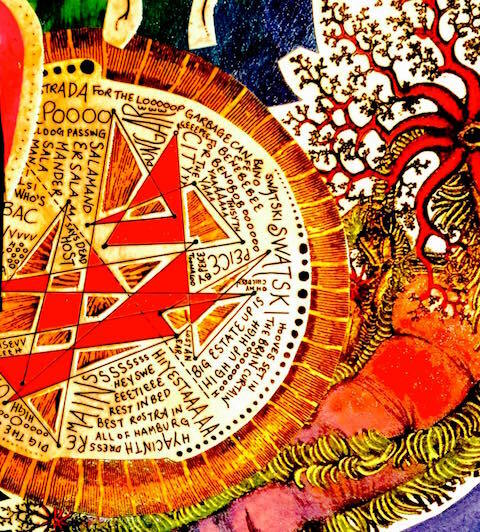 To see David Jones in action is to witness a wizard weaving spells, a master at work achieving the seemingly impossible. His arms move in fluid Tai Chi-like motions, his face relaxed and transmitting his joy to the audience. David is often described both here and abroad as being one of the most innovative and musical drummers in the world, a true virtuoso musician. His mesmerizing drum solos are dramatic, humorous, surprising and powerful. David has toured nationally and internationally and recorded in the genres of rock and pop, jazz, classical, cabaret, theatre, television and improvisation. Timothy Phillips has forged a unique career for himself in his homeland Australia and in continental Europe. His musical experience covers all styles, ranging from classical, symphonic, solo, experimental music theatre through to musicals, rock and jazz, with a special affinity for the music of our time. Timothy's main focus these days is on conducting and in particular the Arcko Symphonic Project, of which he is the founder and director. 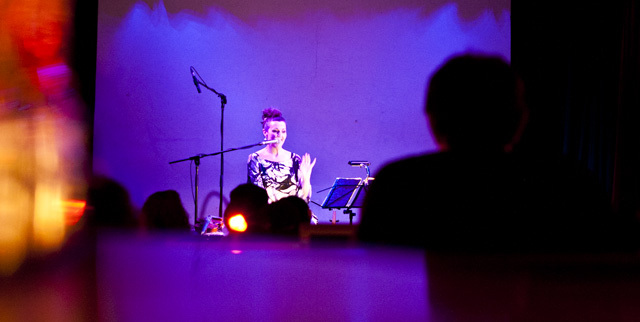 Timothy Tate is a composer, performer of theremin, viola and electronics. Timothy is currently based in Brisbane, composing, performing and creating exciting multi-disciplinary events with his group Ensemble Fabrique. Andrew Aronowicz (b1989) is a Melbourne-based composer, and is a recent graduate of a Masters of Music in composition at the Melbourne Conservatorium of Music. Andrew has had workshops and performances with prominent ensembles including the Melbourne Symphony Orchestra, Tasmanian Symphony Orchestra, Australian Brass Quintet and new Melbourne ensemble, Petrichor, and has been commissioned by artists and ensembles such as violinist Sarah Curro, and the Tudor Choristers. Most recently he has been accepted into the Melbourne Symphony Orchestra Cybec 21st Century Australian Composers program for 2013 and 2014. Josh Rogan was born in 1990 and began playing cornet with the Frankston City Brass band when he was 5 years old. He was accepted on scholarship to study trumpet at the Victorian College of the Arts Secondary School, and then continued his studies at the University of Melbourne. After 3 years of study at university, Josh was accepted into the Australian National Academy of Music, where he currently studies with Tristram Williams and David Elton. Over the past 3 years, Josh has started becoming a passionate supporter of new works, and in 2012, he curated and performed in a brass composition concert, where 9 new works for brass were given their world premieres. Vocal adventurer, multi-instrumentalist and looping beatboxing songwriter Mal sings his brain provoking songs using all sorts of vocal techniques, guitar, mbira, slide trumpet, trombone, chromatic harmonica and a loop recording pedal called Derek. And Kylie (who's played with Orchestra Victoria and the likes of Stevie Wonder and Barry White!) provides violin and voice in a perfect balance to Mal's nutsness. Their arrangements are intricate and playful. Imagine Einstein, Dr Seuss and Paganini making pancakes. Simon is a composer and saxophonist living in Melbourne. He is currently working on pieces for the Melbourne Symphony Orchestra and the Arcko Symphonic project. He has composed music for many dance and theatre productions, is currently working on SUPTERTONE, a new work by choreographer Rennie McDougle, to be performed at the 2012 Next Wave Festival. Simon is the artistic director of Plight of the Peacock, a chamber ensemble featuring Kim Tan, Matthew Horsely, Avivan Endean and Ryan Williams, and performs as an improvising musician with various ensembles. He has received several awards for his compositions, including the Zavod Jazz/Classical Fusion Award and the Marion Isabel Thomas Prize. He is currently a resident at Montsalvat and is sponsored by the Montsalvat Trust. Guitarist and composer Cam Butler is a highly active member of the contemporary Australian scene, both as a sideman and as a performer in his own right. Currently a member of Cam Butler & The Shadows Of Love, Ron S. Peno & The Superstitions and The Coralinas. Founding member of ground breaking instrumental trio, Silver Ray. 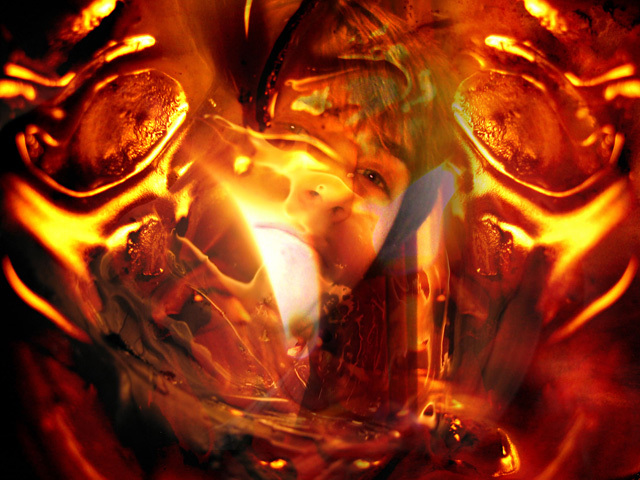 Cam has composed, recorded and released 6 solo albums, his 6th, 'Save My Soul', features a 23 piece string orchestra and an accompanying 5 film video installation. Aenon Jia-en Loo was born in Kuala Lumpur, Malaysia in 1979 and raised in Hong Kong, China. As a child, he enjoyed LEGO, digging holes, dismantling home electronics and watching clouds slowly dissolve. He currently resides in New York City on the top floor of a 104-year old building. Delighted by having huge windows in his pigeon-cage, Aenon continues his life long endeavor; cloud watching, and stumbles to commit this experience to recorded sound. Kevin March lives in Melbourne. His works have been performed in Australia, Europe, and the U.S. by ensembles including the Tasmanian Symphony Orchestra, Orchestra Victoria, Ironwood, Halcyon, ASTRA, Chronology Arts, and The New York City Opera. He's won a couple of nice competitions, the Dorian LaGalliene Prize in 2009, the 3MBS National Composition Competition in 2010 and had his latest opera workshopped by NOVA. He teaches composition sessionally at the Victoria College of the Arts and the University of Melbourne Conservatory of Music.When not writing or teaching, he grows orchids (about 500) and is a certified orchid judge in the Australian Orchid Council. He lives in Melbourne with his husband, K.O., and their black cat Oscar. Anton Koch (b. 1972) completed his studies in 1993 at the University of Queensland majoring in composition and trumpet. In 2003, he became the inaugural recipient of "The Brian May Scholarship" enabling Australian composers to study at the University of Southern California in the Scoring for Motion Pictures and Television program. Anton Koch has composed, arranged, orchestrated and conducted for a variety of concerts, musicals, films, television broadcasts and recording projects within Australia and internationally, including the opening and closing ceremonies of the 2006 Asia Games in Doha, Qatar, the 7th and 8th annual Helpmann Awards in Sydney, and in Los Angeles with Hollywood film composer, Christopher Young. Brisbane-based composer and improvising multi-instrumentalist Richard Grantham studied at the University of Queensland, graduating with first-class honours and a University Medal. For many years a member of the Queensland Youth Symphony, he now performs with numerous groups spanning innumerable genres. 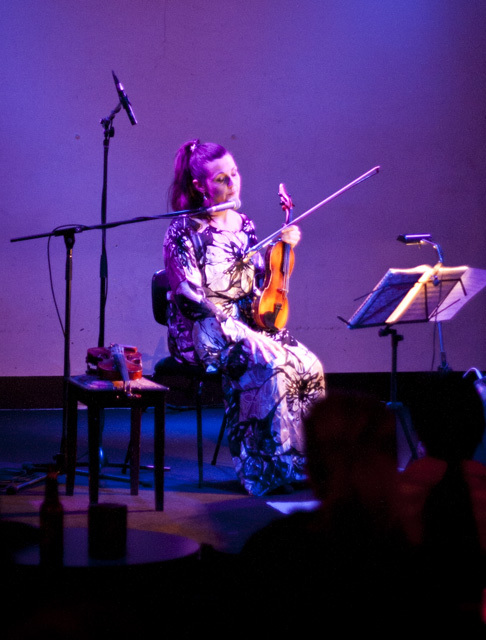 His solo act The Viola Cloning Project uses loop and octave pedals to turn his viola into a one-man string orchestra. His cat Beckett is afraid of brass instruments. 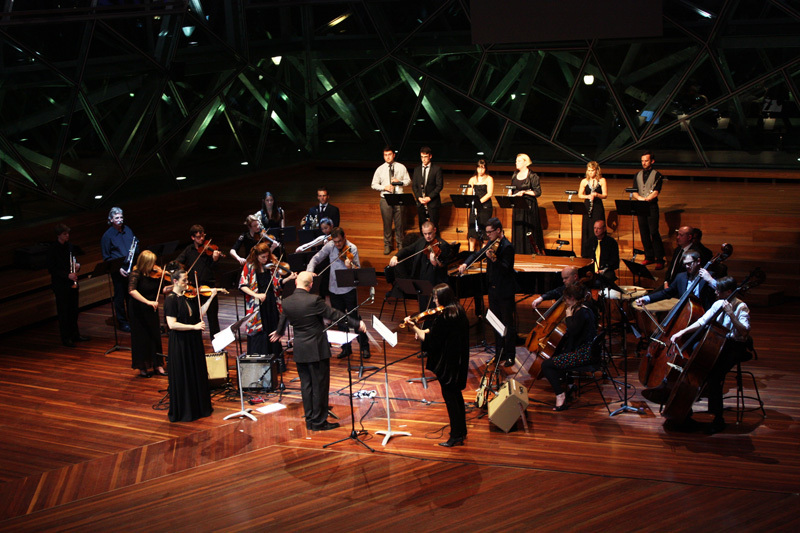 John Arcaro has been a member of the Melbourne Symphony Orchestra since 1990. He has also been a guest timpanist/percussionist with Orchestra Ensemble Kanazawa Japan, Malaysian Philharmonic, Sydney Symphony, West Australian Symphony and Tasmanian Symphony Orchestras. He has worked as a chamber musician and soloist with ensembles such as the Australian Chamber Orchestra, Melbourne Chamber Orchestra, Synergy Percussion, Speak Percussion, Astra, Aphids, The Pokrovsky Ensemble Russia and the Melbourne Symphony Orchestra. Performance highlights have included a critically acclaimed performance of Stockhausen's Kontakte with pianist Michael Kieran Harvey in 1996. John has recorded numerous film scores and performed with a wide range of popular artists, including Frank Sinatra, Olivia Newton-John, KISS and Meat Loaf. John studied in New York and Philadelphia with leading orchestral percussionists and graduated from the Victorian College of the Arts (VCA) with high distinction. He is currently a member of staff at the University of Melbourne and the VCA. Born in Sydney in 1984, David began composing at age seven with a series of bagatelles for piano. Trevor Pierce guided his enthusiasm for composition until the age of 12, when he was placed under the mentorship of Richard Gill. He entered Newington College as a music scholar, receiving the school's annual prize for composition for five consecutive years. In 2004 he studied composition at the Sydney Conservatorium before transferring to the Royal College of Music, where he drew direction from composers Jonathan Cole, William Mival, Edwin Roxburgh, Robin Holloway and Mark-Anthony Turnage as he developed his musical language. David's works have been performed by such groups as the Australian Youth Camerata, RCM Symphony Orchestra, Sydney Symphony Sinfonia and London Contemporary Consort. He currently holds a scholarship at the Australian National Academy of Music under the mentorship of Michael Kieran Harvey. Graduating from VCA in 1992 on electric and double bass Jonathan has performed both nationally and internationally including numerous tours to New Zealand the United States, Canada, Russia, Japan and Europe.Jonathan has been a regular member and contributing composer of Melbourne based, original jazz / improvising ensembles: “kadoonka”, “The Situationists”, “Facelifter”, Anton Delecca Quartet and the Luke Howard Trio, performing at the Melbourne International Jazz Festival, Wangaratta Jazz Festival and the Half Bent Festival. In 2005 Jonathan began working with Pete Murray and The Stonemasons and tours with them extensively as well as being a member of the Ian Moss Trio. In 2007 he toured nationally with Deborah Conway’s “Broad” and worked on the Adelaide festival preview of Eddie Perfect’s musical “Shane Warne”. Jonathan plays a 1920’s Czech Acoustic Bass and Fender Electric Basses. Amongst a plethora of awards, Joe has twice won the MO award for Jazz Instrumental performer of the year, two BELL AWARDS for best album and the APRA award for best jazz composition of the year in 2009 for 'Something Will Come to Light." More recently, Joe's unique gifts as a composer of chamber music have come to the fore. Joe has been commissioned to compose and arrange for chamber ensembles such as ACACIA Quartet, the Freshwater and Seraphim Trios, Sarah Curro, the Flinders Quartet, David Berlin and Wilma Smith. Two of his works for string orchestra were recently performed by Australian Chamber Orchestra 2. His Toccata for violin (commissioned by Sarah Curro) was chosen as the requisite Australian work by Anne Marie Johnston, who performed it at the ABC Young performers' awards in 2013. An Australia Council Fellowship in 2003 facilitated his composing of a concerto for Accordion and Orchestra. His String quartet number 1 was premiered in june 2014. This was also funded by the Australia Council by way of a commission by Acacia quartet. He has worked on more than 60 film soundtracks and his piano playing is featured on such iconic Australian films as PHARLAP, MAN FROM SNOWY RIVER II and THE SOUND OF ONE HAND CLAPPING. Ade Vincent is a composer and performer. His music can be broadly separated into three categories: he fronts and writes music for indie pop band The Tiger & Me, writes art music for the concert hall, and writes music for screen. His music has been heard on television, radio, major music festivals, concert halls and the cinema screen. In 2015 he founded Kaleidoscope Audio with Michael Trott, an audio company specialising in music and sound for video games. He has a Masters in Composition from The University of Melbourne where he now lectures. He also teaches composition at The VCA and Scotch College. Jessamie is an emerging composer, aiming for a career in film/TV career scoring, and composing for live performance. Her debut feature film "Damaged" (Midlander Films) now has three international awards under its belt, and also has three short films in the works! Having studied film scoring with Berklee Music Online, Jessamie is currently completing her Bachelor in Composition and Music Production at AIM, Melbourne. In her spare time, Jessamie plays violin with various local orchestras and also participated in the Melbourne Symphony Orchestra's Symphony in a Day program in 2016. James is a Melbourne based musician and composer, as well as a producer working under the pseudonym 'A Pancake Satellite'. Having recently completed a bachelors degree in music at the University of New England as well as a Diploma of Electronic Music at Melbourne's own SAE campus, James is a fresh face to the industry who is hungry for real world, hands-on experience. During his time studying at SAE, James was awarded with the Creative Achievement Award for 2015 for his experimentations with unique sound sources, which he as also employed in his entry for this year's Volume Festival. Clare Johnston is currently undertaking her Masters as part of the National Women Composers' Development Program run by the Sydney Conservatorium. Clare completed a Bachelor of Music from the University of Melbourne in 2013, where she was awarded the Esther Rofe Award for Composition. In 2015 she won the David Henkels Award for Composition and had her Gypsy Trio performed at the 3MBS Performer of the Year Awards. Clare has been selected as a composer to take part in the Walden School Creative Musicians Retreat in New Hampshire, USA where she studied with composer Martin Bresnick and had one of her compositions performed by the Wet Ink Ensemble from New York City. Clare has also taken part in the Atlantic Music Festival in Maine, USA and at the AYO National Music Camp where her music was conducted by James Judd and performed by leading international musicians. Primarily interested in a synthesis of musical archetypes, Schwartz is always at work on a variety of genre bending projects. Formative influences include an amalgamation of the glam metal of the late 80's, and the baroque intellectualism of Arnold Schoenberg. Schwartz serves on the faculty of the University of North Carolina, and is the Artistic Director of the Winston-Salem, NC based experimental music group Forecast Music. He was formerly resident composer for the Los Angeles based Tonoi contemporary music ensemble, the Minnesota based Renegade Ensemble and NYC's Vox Novus. His debut CD 24 Ways of Looking at a Piano, named one of the top classical CDs of 2005 by All Music Guide, is available from Centaur Records. His second solo album, OYOU is available now from CD Baby. His music is also available on Signum Classics, Capstone Records, Trace Label and is published by Murphey Music Press and Lovebird Music. Yvette Audain is Auckland born and currently based on the Coromandel Peninsula, with a diverse carreer as a composer, arranger, clarinetist and saxophonist. Her work has been performed by the Auckland Philharmonia orchestra, where she has worked as an arranger since 2008. 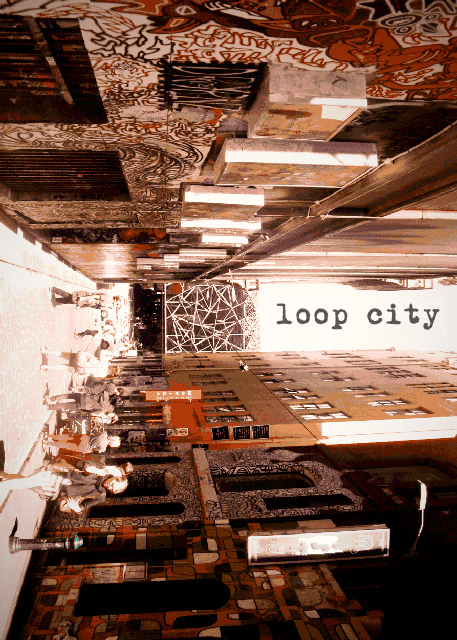 Yvette spent a year in Melbourne and was involved in Loop City after meeting Sarah Curro during VOLUME 3. Yvette returned to New Zealand in January 2013, and is enjoying her continued involvement with Auckland composition collective The Committee, where she presented her works Hazine (Treasure) and Concerning Stillness, as both composer and saxophonist. She is busy as a teacher and gig musician, always ensuring she is never further than a short stroll from the sea. Annie is part Taiwanese, part Kiwi and part Australian. She received both her bachelor and Masters degrees from the University of Melbourne under the supervisions of Stuart Greenbaum and Brenton Broadstock. As a composer, Annie has works performed by the Melbourne Symphony Orchestra, Kuring-gai Philharmonic Orchestra (Sydney), the Tasmanian Symphony Orchestra, as well as commissions from the Southern Cross Soloists, Beijing Modern Music Festival, Queensland Conservatorium Griffith University, Ensemble Fabrique (Brisbane) and Chronology Arts (Sydney). Nikolas projected his artwork in sync with VOLUME 3, tastefully draping the show in a veil of his stunning imagery. A is for Atlas is an independent, not-for-profit organisation dedicated to inter-artform exploration, and to the development of Australian artists. We create new performance works that invigorate form, and invigorate audiences to seek out new foods for their creative consumption. The company's acclaimed previous works include Heracles High 5 (2010), Quartet/The Razor (2009), Duets for Actor and Musician (2008) and I Start Again (2006), during which time we have partnered over two dozen independent Melbourne artists and companies in the development of new work. Leah Scholes adores playing percussion, and aside from working with orchestras she gets very excited about her involvement in a variety of projects with other musos, circus artists and puppeteers. She delights in baking, travel, discovering musical applications for everyday objects, good wine and snuggly winter clothing. It is only a matter of time before she designs a project that combines all of these things together. 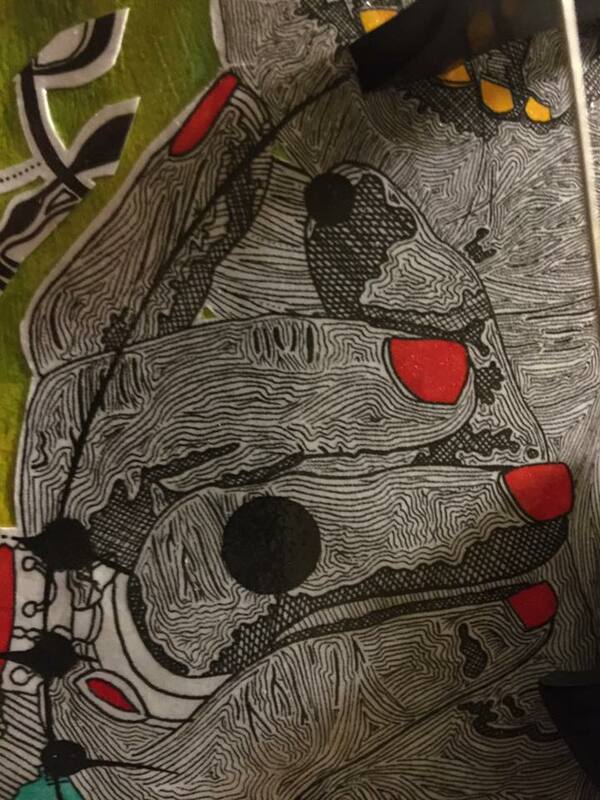 Up and coming Melbourne artist and animator David Van De Leur has been working on his latest creation from the sunny beaches of southern Queensland. His animation Power Lines is a lighthearted look at the lines of power crisscrossing through our society, these "power lines" that we are all tied to in some way or another represented literally, while differing factions in society are pairs of dancing shoes dangling from the wires. Matthew Timmis is a composer from Adelaide, South Australia. He studied with David Harris, Peter Brideoke and Stephen Whittington at the University of Adelaide. His music has been performed in Adelaide and around Australia, including performances on ABC Classic FM with ACME New Music Co. and the premier of his piece Cargo for solo semi-acoustic violin by Sarah Curro. 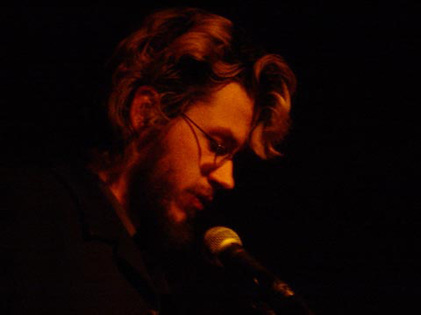 During time spent living in Port Augusta and Quorn, Matthew was part of Country Arts SA's development program, which saw him compose several large scale community based works; including Car-cophony, a performance piece for 12 cars and their stereos, and a rescoring of the 1922 silent classic Nosferatu- A Symphony of Horror. After several performances around Australia, Car-cophony was recently restaged as parts of the 2013 Sydney Festival's Parramatta Opening Party. He created The End of the Line for the 2012 Kumukuki Festival as part of Southern Encounter, which was the winner of two 2013 APRA Art Music Awards- Excellence in a Regional Area and Excellence in Experimental Music. 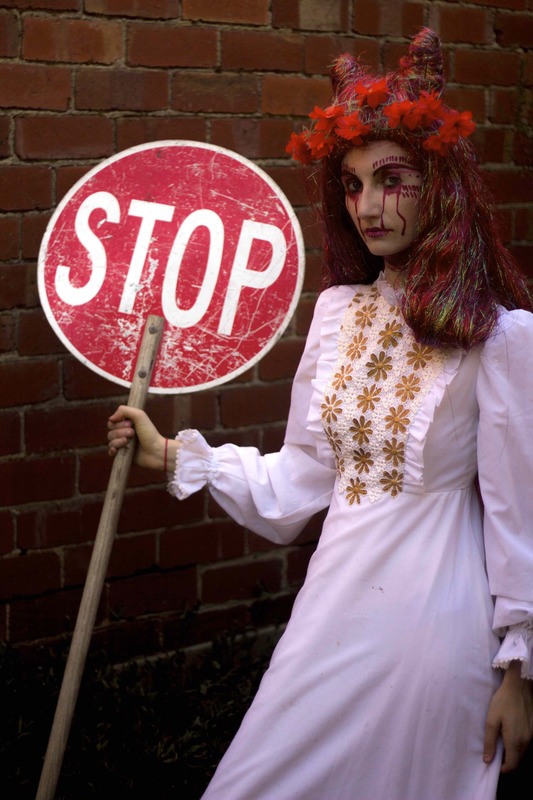 The costume for VOLUME 2 @ Castlemaine State Festival was found in a store in Melbourne Central called Fashion Incubator which supports local fashion designers- all credit to MASSURI for this stunning poppy design. Carmen Warrington is a performing artist, songwriter, speaker and author who is dedicated to creating works that uplift and inspire. She was introduced to meditation in 1984, a gift that continues to enrich her personal and professional life. Born in England, her family moved to Australia when she was ten. As well as working from time to time as an actress, Carmen is also part of the music industry. She received international praise for her work in the jazz-fusion band AtmaSphere, which featured the work of David Jones her long-term music collaborator. David and Carmen perform their life-affirming "Inner World Music Concert" at intimate venues around Australia. 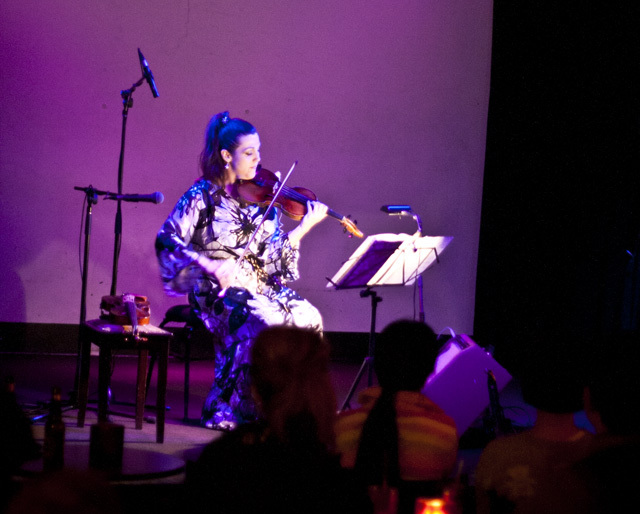 Carmen also performs with Sydney's quartz crystal singing bowls player Susie Nelson-Smith in concert. Carmen is now based in Melbourne, Australia, where she writes, performs, and offers her services as a Civil Celebrant. The Twoks music has been described as epic, hard-edged, tribal, sunny, seductive, hypnotic and more. It is music that is truly impossible to put in a box. Writer-director Lisa Mills makes shorts films, music videos, documentaries and her own brand of visuals to project at live events. After several years of media and music work in London, Mills has returned home to make films, music (and babies!) in Melbourne. Dan Salecich was born in 1979 in Bundaberg, Australia. Since graduating with 1st class Honours (performance) and a University Medal in Violin and Composition from The University of Queensland. Salecich has undertaken postgraduate studies at the Universitat fur Musik und darstellende Kunst, Graz, Austria. He has recently completed his doctorate at the University of Queensland with the help of a major Australian postgraduate scholarship. His teachers have included Philip Bracanin, Spiros Rantos, Georg Friedrich Haas and Beat Furrer. Salecich has worked with various music ensembles and groups in Australia, Austria, Italy, Germany and France. Dan's interests are broad, from producing contemporary and experimental acoustic music to electronic music mixed with acoustic sounds and even the odd pop tune. As a performer and composer he has been involved in many classical, contemporary, and crossover projects. Jane Hammond works in Melbourne as a conductor, pianist and composer. She has composed original music for mainstream and community theatre, and the concert stage including for companies such as Opera Australia and the Melbourne International Festival. Her new work for wind symphony, Dancing with Ghosts, has been selected as part of the national Australian Section for the ISCM World Music Days 2011 to be held in Zagreb. From The Gallows Tree for speaking voice, prepared piano and recorders can be heard on the recent Move CD Flowers. Jane lectures in theory, history and practical subjects at the School of Music - Conservatorium, Monash University where she is also currently undertaking doctoral research. In 2008, Craig William Osborne was discovered in vintage 60s costume busking on his Arts Music cello outside the National Gallery of Victoria. After a brief conversation and an exchange of phone numbers the seed was planted. Then, after many strolls along Sydney Rd. (in original Victorian clothing including top hat, gloves and cane - not to mention the meticulously hand starched collar) the fabulous full length Napoleonic dress coat was conceived by Craig William and commissioned by Sarah Curro for VOLUME 1 @ Abbotsford Convent. A reclusive eccentric (again true to historical form) Craig William departed for Ballarat never to be seen again, the moment of fame was too overwhelming. We wish him well in his travels. James Wade developed an interest in music comparatively late which allowed his compositions to be largely influenced by philosophical and abstract ideas more than by other composers or genres of music. Themes relating to environment, identity and the nature of life feature prominently in his work. His music has been performed and broadcast around Australia and internationally by many major ensembles and musicians. Christian's music is often a response to the beautifully mundane. Drawing inspiration from the repetitive, constant tasks of our days. Texturally and harmonically subtle, rhythmically inventive, Christian's music expresses the often overlooked. Dashes of Riech-esque, minimalism fall with Christian’s own pop influences to create thoroughly approachable musical textures. Christian gained his Bachelor of Music on classical guitar in 2005 from the Melba Conservatorium under Dr Ken Murray. He then completed his Master of Music degree in composition from The University of Melbourne in 2012 under the guidance of Dr Stuart Greenbaum receiving first class honours for his Masters folio. Christian’s works have been performed and recorded by leading musicians and ensembles in Australia and abroad, including workshops with The Melbourne Symphony Orchestra, New York Philharmonic and commissions from Volume, Ensemble Three and Plexus Collective. As the guitarist and songwriter of the ARIA nominated art-pop band ALPINE, Christian regularly performs to thousands across the globe. Daniel Masmanian is a composer living in Fremantle, Western Australia, who regularly performs as a conductor and pianist. His music for film, theatre and the concert hall has been performed internationally and recently his works have been performed by the Australian String Quartet and the Tasmanian Symphony Orchestra. He studied at the Royal Northern College of Music and has lectured in Singapore and Australia. Currently Daniel is completing his PhD at the University of Western Australia. Charles MacInnes was appointed to the position of principal bass trombone with the Australian Opera and Ballet Orchestra in Sydney in 1985 at the age of nineteen. Four years later he moved to Germany to further his studies with Prof. Joachim Mittelacher at the Hamburg Hochschule für Musik und Theater. After working for two seasons as Praktikant with the Hamburg Staatsoper, he played for eight years as a guest with the North German Radio (NDR) Big Band. Since returning to Australia in 2000, he has performed with the Australian Chamber Orchestra, Australian Art Orchestra, Melbourne Symphony Orchestra, Deep Purple and has appeared at many major international arts festivals. Charles has lectured at the Victorian College of the Arts, Monash University, Australian National University and The University of Melbourne (including two years as Head of Brass), and has a creative music workshop program that he presents throughout Australia to people of all ages. He has a Masters in Composition and is currently undertaking a PhD researching improvisation in new music. His compositions have been played by the Australian Brass Quintet, Michael Kieran Harvey, Syzygy Ensemble, Melbourne Chamber Choir, Bennetts Lane Big Band, and the Defence Force School of Music. He has had music reviews published in Realtime Arts and was invited in 2015 to present a research paper at the Musicological Society of Australia’s annual conference. Charles is co-director of the Monash New Music Ensemble and a founding member of Nunique Quartet who perform improvised music to silent film. David Lang's musical career began with his celebrated series of Percussion Compositions, co-written with a friend at the age of five and featuring the sounds of whatever he could get his hands on in the kitchen. He was later encouraged to learn some 'proper' instruments (such as trumpet and piano), but composition remained his favourite musical pursuit. At the moment he's completing his Honours in Music Studies at Adelaide's Elder Conservatorium, studying with Graeme Koehne. He has written for choirs, orchestras, all kinds of chamber groups (from string quartet to tuba duet) and solo instruments and voices. David is also interested in writing and talking about music, and this year spent eight weeks in Sydney on the Australian Youth Orchestra's Music Presentation Fellowship. To escape from music, David enjoys walking in the Adelaide Hills (although sometimes Composition follows him up there), reading, and eating Haigh's chocolate. He has never lost his early passion for 'found' percussion - his recent settings of Jabberwocky and the classic Australian poem How McDougal Topped the Score feature instruments such as saucepan lids, corrugated iron and music stands. Zoë Black is known for her beautiful sound and natural virtuosity. She has performed throughout the world as soloist, chamber musician and is currently a part-time violinist with the Australian Chamber Orchestra. Previously, Zoë held the position of Assistant Leader with the ACO for five years. During the past decade she has dedicated her energies to chamber music and was a founding member of Freshwater and Firebird Trios. She now devotes her considerable gifts to her part-time role in the ACO and her duo with pianist/composer Joe Chindamo with whom she joined forces in 2011 forming a duo dedicated to presenting a creative mixture of new compositions and unique reimaginings of classical works. Their acclaimed CD "reimaginings" was released in 2012. Why read Amanda Anastasi's poetry? She doesn't write about flowers, sunsets or the weather. She avoids cliches like the plague. Her poems do not overstay their welcome: much is said in very few words. Because Amanda reads the dictionary for recreation, you are bound to learn some new words. Everything from the veins on a leaf to an untouched cup of coffee have triggered her pen, so beware if her eyes fall on you. You may end up a poem. I am a UX designer with a foundation in psychology and music composition, which allows me to deeply understand human behaviour, influence emotions and capture the attention of a target audience. My favourite part of the design process is the peak of the discovery phase: one wall full of post-it notes and another covered with a dry erase marker’s worth of insights and observations. I love affinity mapping and refining insights into the major puzzle pieces of a problem, and exploring the different ways to assemble great solutions with a passionate team. 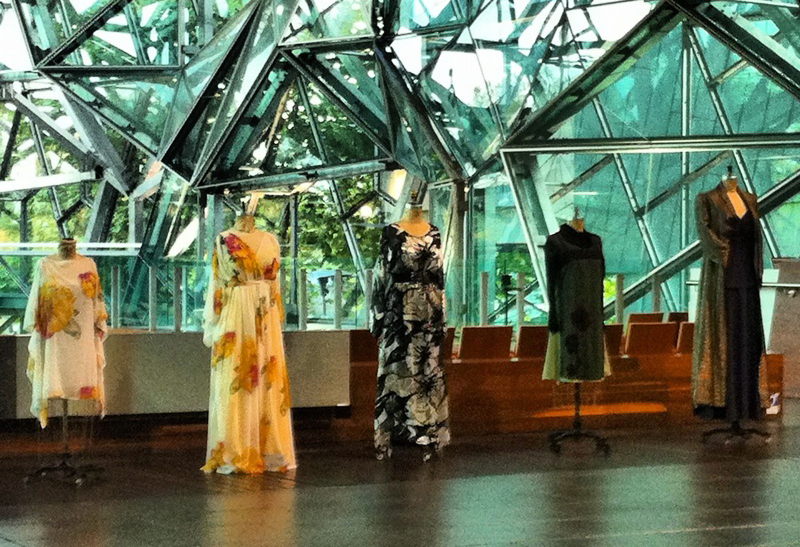 VOLUME 1 rocked the beautiful Abbotsford Convent Linen Room, which was the eclectic show's debut. The intimate venue and stunning surroundings of the convent ensured a powerful performance. Castlemaine - with its strong and diverse arts community - played host to VOLUME 2. The Castlemaine State Festival was a fantastic opportunity to continue the VOLUME concert series, and was well-received by the community. The show that sold out BMW edge. Fractured walls merged with silky sounds, bold lighting and some rather fancy (and occasionally quirky) dress to present a concert like no other. Surrounded by unique works of art, VOLUME 3 was presented in two very intimate concerts at two unique galleries. VOLUME met glass walls and polished floorboards at The Toff in Town on Swanston St as part of the 2011 Melbourne Fringe Festival. The Toff supplied their most quiet barman for the show, who performed excellently. The VOLUME experience returned, combining the striking geometry of BMW Edge with new sounds, new tech and new style. A full house performance witnessed new works by Australia's prominent contemporary composers, thrilling dance numbers and more. 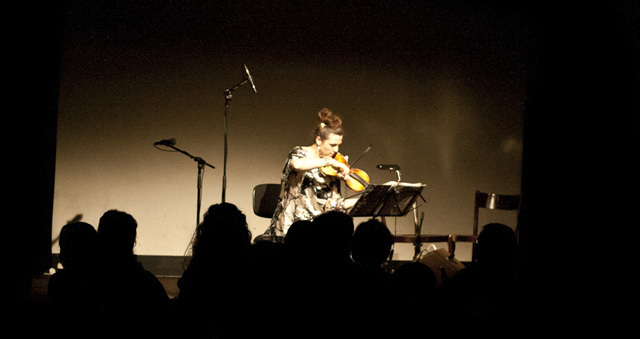 Sarah turned up the VOLUME in 2012, being joined by Monica Curro to perform the Stefan Cassomenos's Double Violin Concerto with full chamber orchestra. VOLUME 5 was financed completely by a Pozible crowd-funding campaign, and was made possible by the generosity dozens of wonderful supporters. New works by Joe Chindamo, Ade Vincent, Anton Koch, Daniel Masmanian and Rob Cossom were also presented with electric success. 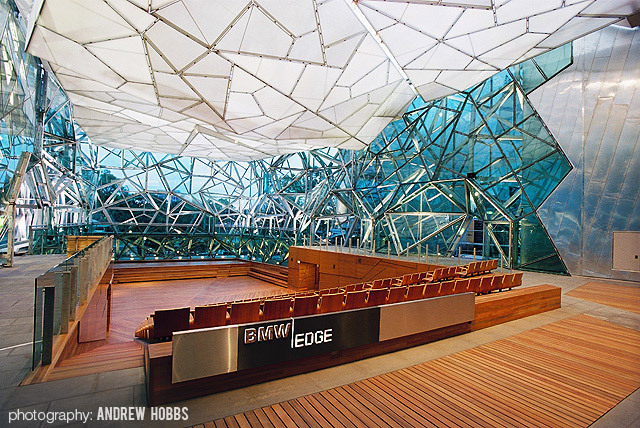 Special thanks to the people who made Volume 5 @ BMW Edge possible through our Pozible campaign. Iain Grandage, Rebeccas Harris, Dave Curro, Michael Kisin, Susan Hull, Martin Nixon, Anna Robinson, Leigh Raymond, Greg Malouf, Jonathan Curro, Adam Simmons, Greg Field, Ade Vincent, David John Land, Traudl Moon, Suying Aw, Steve Newcomb, Gretchen Mae Anderson, Diana Tolmie, Jane Hendry, Luca Lucchesi, Sallie Campbell, Michelle Wood, Samantha Turley, Benjamin Paulsen, Ben Timmis, Eleanor Mancini, Susanna Ling, Rohana Brown, Jenny Khafagi, John Parker, Xan Colman, Andrew Steel, Melissa Gartner, Ngaire de Korte, Jessie Lawlor, Felicity Teague, Tania de Jong AM, Graeme Lee, Carolyn Morris, Nina Dubecki, Leah Zweck, Paul Grabowsky, Mychelle Whitewood, Margarete Luy, Stephen Bedding, Gina Sartore, Peter Heffey, Justin Heffey, Victoria Maxwell-Davis, Dalnby Toose, Lauren Steel, Jiwon Kim, Katherine Lukey, Tim Samway, Owen McKern, Rachael Beesley, Iseult Stephenson, Maryanne Plazzer, Marc Lucchesi, Dan Lucchesi, Gillian Howell, Imogen Manins, Rob Cossom, Richard Grantham, Alister Barker, Molly Kadarauch and Sally Hutchinson. A very special thank you to those who chose to donate outside of the campaign - Di Breciani, Mary Valentine, Rosie Hunt, Alan Nott, Judy and Gordon Cope-Williams, Forest Hills Village, Rosia Pasteur, Peter Lim and John Curro AM MBE. In the midst of a changing landscape we search for constancy, the familiar, a home. But sometimes even the places we love best can infuriate us. This is a story about Melbourne, but this is no tourist postcard. This was LOOP CITY. Poetry written & performed by STEVE SMART & AMANDA ANASTASI. Music written by YVETTE AUDAIN & performed by Sarah on the Spur electric, Semi-Acoustic and Contemporary range. The intimate, vintage surroundings of Ruby's Music Room played host to Sarah's pick of VOLUME classics. Sarah and Loop City return to St Kilda Stripfest 2013. Featuring the amazing Zoe Black and Joe Chindamo plus the VOLUME Vanguard Ensemble. VOLUME 8 returned to The Toff in Town for a fun-filled double bill with Mal Webb and Kylie Morrigan. Vocal adventurer, multi-instrumentalist and looping beat-boxing songwriter Mal Webb sings his songs about all manner of stuff. He's Bobby McFerrin, Aphex Twin and Cole Porter playing scrabble. Ebulliently eclectic. Nefariously varied. 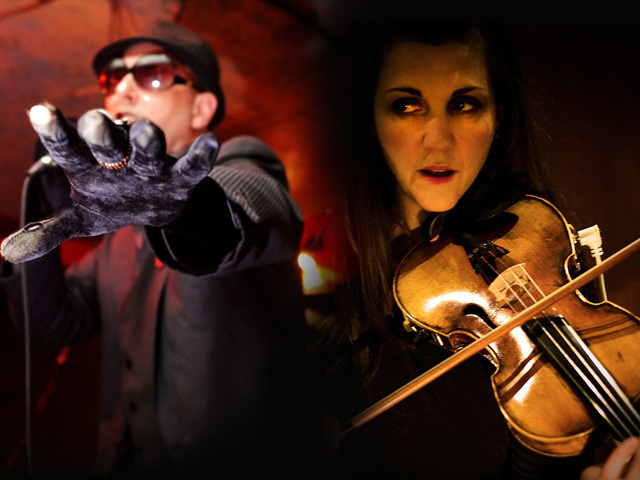 Joined by Morrigan (who's played with the likes of Barry White & Orchestra Victoria) providing violin & voice in perfect balance with Mal's nutty intensity! The VOLUME 9composers are Timothy Coghill, Cameron Jamieson, Jessamie Kaitler, Clare Johnston, James Titherington, Jordan Halaseh plus some new works by some old friends of the VOLUME show - Hugh Crosthwaite, Adrian Hollay and Eric Schwartz. Plus a stunning reworking of my new Semi-Acoustic violin by the Melbourne artist ReVerse Butcher. ...as part of the Hares and Hyenas 25th anniversary program.